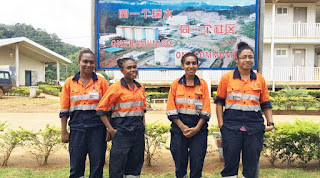 FOUR third-year students from the University of Technology admitted that they are enjoying their internship with the Ramu NiCo Management (MCC) at its Kurumbukari mine site in Madang Province. The nickel/cobalt mine developer continues to provide internship opportunities to many nationals especially students from major colleges and universities around the country since it commenced operation. The company has played a role in helping young Papua New Guineans acquire skills and experience. 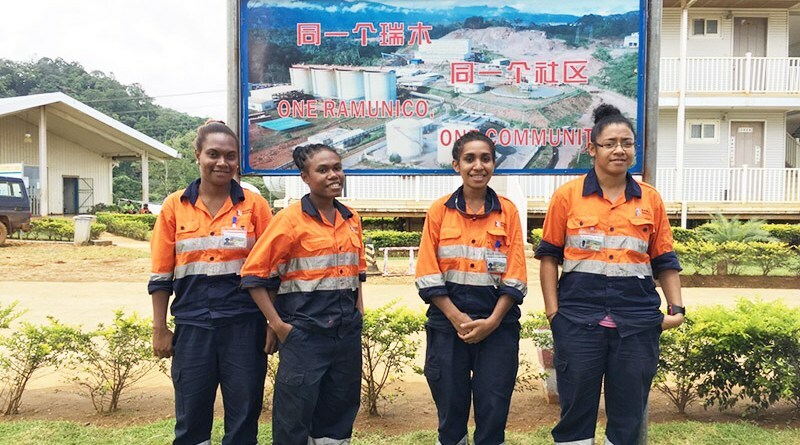 Each year, Ramu NiCo’s Kurumbukari mine and Basamuk Refinery accept students to do internship. The four students majoring in Applied Chemistry are currently attached with Laboratory Department at the Kurumbukari (KBK) mine site. They are Flora Taka, Christine Hassor, Doel Andrews and Larisha Mirino. They started their three-month internship in early Dec 2016 and will end at the end of this month. While interning at the KBK Processing lab, they are exposed to modern lab facilities and the working environment at KBK mine. “We are actually learning a lot of things working with our Chinese supervisor, Li Dan and other senior PNG employees in the lab and these are very new experiences,” said Ms Kata. Ms Kata believes that this is a unique opportunity where she is committed to learn and gain much needed experience for job opportunities after completing her studies. “I want to learn as much as possible to gain more experiences not only in my field of study but in all spectrum of life, and these experiences will help me to make good choices in life and future,’’ she said. Source: Sunday Chronicle . caption: The four Unitech students pose for photograph at Ramu NiCo’s KBK mine site residential area at Kurumbukari plateau.